Louis Armstrong fans, mark your calendars for August 3-5, 2018 for Chevron’s presentation of the Satchmo SummerFest. 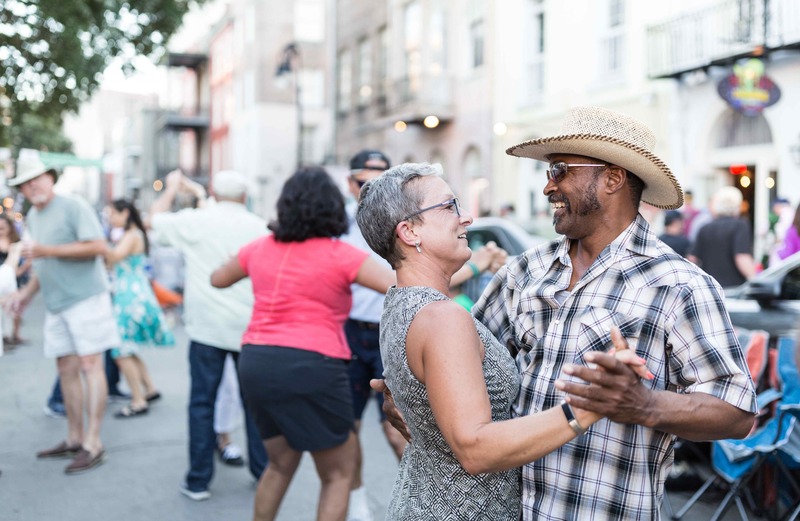 When the Festival began in 2001, it was to celebrate Louis Armstrong’s 100th birthday, and hordes of people came out to listen and dance to traditional blues and jazz and eat famous New Orleans cuisine. Since then, it has evolved into an annual festival, held on the first weekend of August and is sponsored by French Quarter Festivals, Inc. that also sponsors the popular French Quarter Festival. Satchmo SummerFest takes place in and around Jackson Square and features top New Orleans musicians that perform on 2 stages. To go along with the music, there are both food and beverage vendors selling delicious New Orleans cuisine and refreshing drinks. Although there is a small admission fee for adults, children 12 and under are free. In addition to the music, there are indoor Satchmo Seminars during which Louis Armstrong biographers discuss a variety of issues related to his art and legacy. For information on attending the seminars or other information on Satchmo SummerFest, see the following link: https://satchmosummerfest.org/.